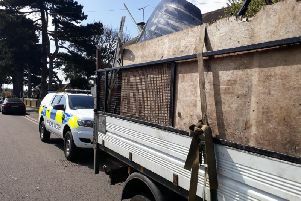 A man, 77, has been arrested in connection with a string of incidents involving damage to vehicles in Bedford. Police say there were a total of 42 incidents in which vehicles were damaged in the Castle Road area last year and a number of other offences reported this year. A large number of the offences took place in Denmark Street. A 77-year-old man was arrested on suspicion of criminal damage on Tuesday (February 4). He has been bailed pending further enquiries.